Present from the very first Eurobowl in 2003, France then played a few times in the middle of the table, before starting its ascent to become a major nation of the Eurobowl, the third most titled nation (besides, only 4 countries have already won the Eurobowl so far), with their victories in 2003 and 2012. For the first nation to pass the 200 average, this was a huge leap, since the Blues have an average of more than 20 points higher than the Germans. Galanthil, the very charismatic (and author of this article yes …) non-player captain of this selection decided to rely on a very experienced group (19 selections in total), in view of the selections, where the renewal has always been essential for the French, previous. Clément has logically been renewed within this team of France, after his performance in 2017, already on his roster of predilection. 4th Wood Elves coach in the world, he “virtually” was world No. 1, all rosters confused, during the Lutece Bowl 2018, last June, ending up at 276.54 ranking at the end of the 3rd round. At his first Eurobowl, he achieved a magnificent balance of 5v / 0n / 1d (83.33 ratio), losing only against Beppe in round 5, in a mirror match. Our vacuum pass specialist has an excellent overall rating on his roster, with 91v / 30n / 30d, for a ratio of 70.20. If he already has excellent statistics against all levels of opponents, with ratios of 55 against 175 – 225, we notice that he is just monstrous on the face of the opponents to more than 225 … 79 ratio for 10 wins in 14 games against the Top Players! Clement will have much to do in his first round, then he will face Miss Sweden, at the head of his Necromantic. A complicated match-up for the Necros, but opposite the coach has a sacred level! The Machine will play its 5th Eurobowl, part of the trip for each edition since 2013! Become a world reference to the head of his Chaos Dwarves, with whom he played his first 4 competitions (13/8/3 – 70.83 ratio), the coach has chosen to bet on him at the head of the Elves Black. A bet that may seem strange as Harti is a monster on this roster … but we’ll know in a few days if Galanthil was inspired. In Black Elves, Harti is the national reference, the French leader on the roster, and ranks 8th in the world. His record on this roster is simply monstrous: 74v / 30n / 13d, for a ratio of 76.07! 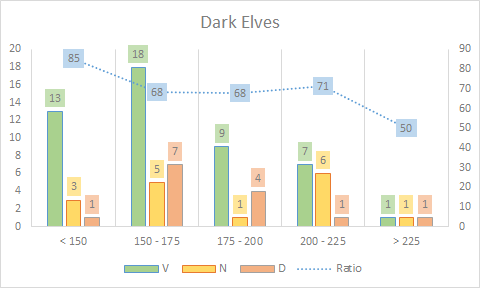 Note that this ratio is even better than the one he has in dwarves of chaos (72,15) … his opponents are warned. Its graph is also interesting … Looking at it quickly, we can see a dip at the level of 175-200 and> 200 … but look good … the trough is 71 and 70 ratio! Harti will play his first round against Tripleskull, an opponent he has crossed once (and beaten 2-1 at Eurobowl 2014, in Chaos Dwarves vs Lizards). This time, his opponent will be at the head of the Chaos Dwarves … and he knows how much Harti knows this roster. After a selection as a player, in Khemris in 2014 (1/2/3), and after 2 editions as a non-player captain, bringing back a bronze medal last year from Portugal, it’s at the head Lizardmen that Karaak joined the 2018 French Team. Second French lizard, behind Gros Nain, his brother, he climbed to 9th place worldwide on this roster. His figures are excellent by the way, posting so far 37v / 11v / 6d, for a huge ratio of 78.70. We could be choosy by noticing on his chart that he finally has few benchmarks against the opponents to more than 200 NAF, facing which he is at 50 ratio all the same, but we realize that c ‘is an extremely solid player (79 of ratio against the 175-200! ), which will undoubtedly bring the Blues to the head of this Premium roster, on which we will count a lot to look for the points essential to the victories of rounds. He will play his first match against MrCappuccino, the Danish dwarf coach. They had already crossed in 2014, Karaak losing 2-0 with his Khemris against the Undead of his opponent. It will undoubtedly be very important to rebalance things as early as Saturday morning. Like Harti, the Marquis will play his 5th Eurobowl this weekend, his last going back to the French edition of 2010. Having previously played Dwarves (2/1/1), Skavens twice (4/3/5) and Undead (2/2/2), it is on the Dwarves of Chaos that he returns to the most beautiful competitions. He will have the “heavy task” of taking over from Harti on this roster and it would be a euphemism to say that he has worked hard for months to be on top in Cardiff, climbing to the 9th place in the world. Chaos. 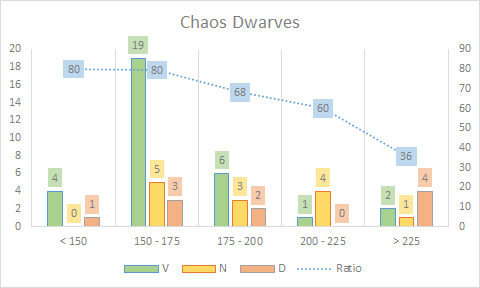 On the Dwarves of Chaos, it displays to date a balance of 32v / 13n / 10d, for a ratio of 70. While it displays excellent results against all opponents, including when the level increases in front , we note a slight decline against the opponents of more than 225 ranking. But no worries on my part: the Marquis is ready and he will answer present on the ground this weekend. Saturday morning, for his first round, he will be opposed to the Tank Amazons. If he has never faced this coach, the match-up is normally to the advantage of the Chaos Dwarves. A Sladmortis to do the job! 4th Eurobowl for Simon, who participated in editions 2013, 2014 and 2016, at the controls of his Nordiques, for a balance of 8v / 5n / 4d (ratio 61,76). This year, he decided to leave the Nordic at home and it is in Elves that he will come to defend our colors. Since the beginning of the year, it was agreed that he chose, according to his sensations and tests, one of these 2 rosters and he validated this choice a few weeks ago now. 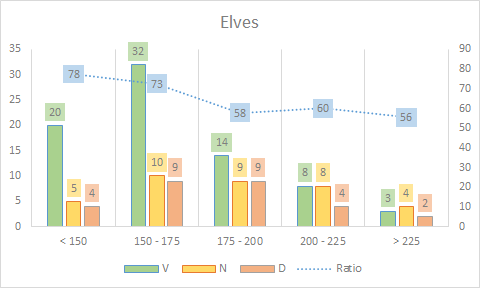 Although he has much less experience on this roster than the top of his 130 games in the Nordic, Simon’s statistics in Elves are pretty monstrous: 21v / 8n / 4d (75.76 ratio), all on a roster “Tier 2”. In this new classification format totally teams, the impact of rosters “secondary” is essential to go topple the draws in team victories and Simon will give everything to make the taff. 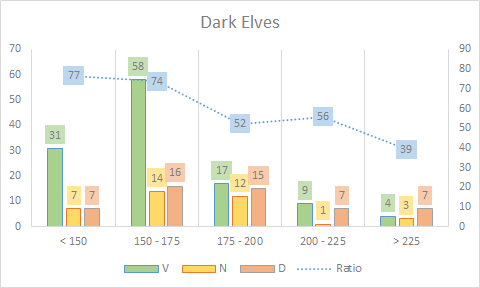 Notably in the study of his chart, he has never lost in Elves Pros against opponents to more than 200 ranking, paying the luxury of turning on ratios to more than 70 on these niches. A low is however a little task in the slice 175-200, but knowing Simon, there is really no reason to worry. 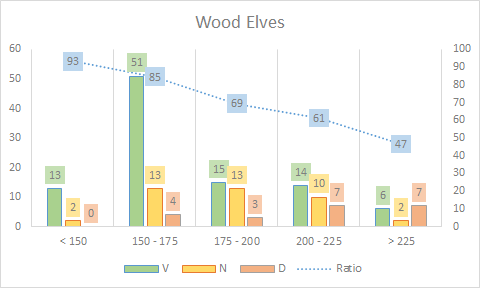 Anyway, it is not in round 1 that he will touch the statistics of this slice, since he will have the “chance” to face Kfoged, in wood elves, in a streamed table from 11:00 am French time ( https://www.twitch.tv/thetacklezone ), and that his opponent is well over 200 NAF. This will be the second time this year that the two players will play, since they clashed last January at the UK Team Challenge, derby elves sylvans. The match ended on a parity score of 2-2. Bibi will finish MVP of the tournament and will finish, with Sladmortis, Justicium and Elyoukey, in the second place by teams. After 2014 and 2016, Touraine will play its 3rd Eurobowl. Arch-specialist of the undead, it is also on this roster that he joined the group France during these two editions (8/2/2). He has however decided for a few months to jump into the intensive training on necromantic roster and will play this roster in Cardiff. Although he now has “only” 27 necromantic games on the NAF, he is ultra-motivated, playing a lot of training matches, either on the other side or online. Its balance sheet is currently 16v / 7n / 4d, for a ratio of 72.22. The few games played (5), especially against players over 200 does not give much information, but if this is “38” on the 200-225, its overall results are quite monstrous, especially at the head of a roster considered as “Tier 2”. His match against Topper (which he has never faced) Saturday morning is complicated, the matchup against the black elves is always tricky for the Necromantic, but Justicium, and the group about him, has certainties and he is ready for this meeting and the 5 that will follow! Zoul will play his 2nd Eurobowl, present in France in 2010 with the pirates. He had then played dwarves (3/1/2). If we stick to his page NAF, he appears as the least experienced of the group, but you should know that this player very very big level plays a lot online, on Fumbbl, medium on which his cabinet (virtual fact ^ ^) trophy continues to fill. It was at the controls of the human roster that he joined the French team, replacing Olivier du Lac, initially selected to play Skavens. His results with this team, yet very complicated to make regular, are impressive: 29v / 13n / 10d in tournaments NAF, for a ratio of 68.27. He is logically little known on the European scene, but believe me, he is at the level of others and has prepared for the event! In the same way as Simon, his results at the head of a roster “Tier 2” will be essential to allow the French to fetch the victories of teams. His first round will not leave him the opportunity to return “quietly” in the competition, since it will be opposed to the Lizardmen of Jaqra. A matchup (very) complicated for humans, against an opponent that Zoul has never met so far. Italy won its first Eurobowl in 2005, in England. They have from the beginning or almost been one of the major actors of the first tables, finishing very regularly on the podium. In the end, they have 3 bronze medals, 2 silver medals and 3 titles, which makes them 8 podiums, as much as the English, and one more than the French. They are, therefore, the second most titled nation. While the French yesterday exceeded 200 NAF, the Italians will come to Cardiff with a group more than monstrous on paper. If they dominate the French of only 4 points on this ranking, they display players with a total of 70 selections in total, a fair number monstrous! Phoenix, with this group, clearly displays the Italian ambitions. Phoenix, the captain of the Italian squad, will play his 9th Eurobowl this weekend. While he has already tried many rosters, it is the head of the Elves he will take his team this year. Previously, he has played Nordic (3/0/3), Orcs (0/1/5), Undead (4/0/2), Chaos Dwarves (3/2/2), High Elves (3 / 0/3), black elves (7/4/1) and elves pros already in 2014. 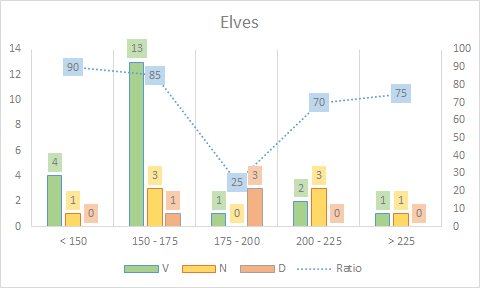 During his year in elves pros, he had a balance of 4v / 1n / 1d (75 ratio), beating amongst others Justicium and his undead on the score of 3-1. On the NAF circuit since 2006, Phoenix is ​​a monster of activity: 192 tournaments played to date, for 993 NAF games! In Elfes Pros, it’s simple … He is N ° 1 worldwide. 141 games played, for a balance of 77 / v 36n / 28d, a ratio of 67.38! In short, to speak of experience for Phoenix is ​​a euphemism. By observing his graph, again, reading is simple. On a roster like the Elves pros, considered as Tier 2 and with many complicated matchups, he is positive on all the profiles of opponents … and what is worrying is that if we take the NAF rankings of his team, he is not the best italian … gasp. 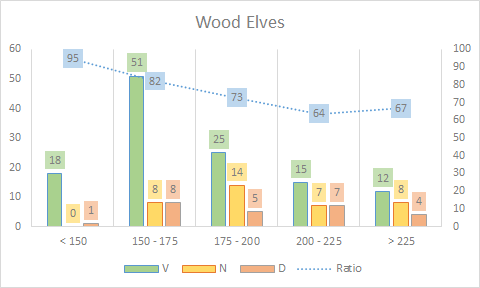 Overall, Spartako in Wood Elves is the trifle of 160 games, for a balance of 99v / 40n / 21d, for a monstrous ratio of 74.38. Even if the side of his chart, we see a steady decline when the level goes up, we must read the numbers. We are barely under the 50 ratio on the> 225 tranche. In short, Spartako will be clearly there on his roster of predilection with the ambition to take the Italians to the 4th title they have been promoting since 2009. In the tradition of regularity monsters, I introduce you to Roller and his dwarves. 9th European competition for the first edition in 2003, which is ranked 2nd in the world on this roster. Roller made his weapons on the undead (7/4/3) and the nordiques (5/4/3), before leaving his dwarves, and this despite a last participation last year in men-lizards (3 / 0/3), flying by the way Zahiko and his black elves 2-0. He had already played dwarves during the Eurobowls 2012 and 2013, for a balance of 4/6/3 (53.84 ratio). This assessment, when we know that during these two editions, the Italians have finished on the podium and so they have played opponents of a certain level, is already very good in view of this roster that is easily considered as rushed and inclined to make draws. But where Roller is monstrous is when we turn to its global stats and its graph. Digits level is 140 games played, for a balance of 79v / 38n / 23d, a ratio of 70! 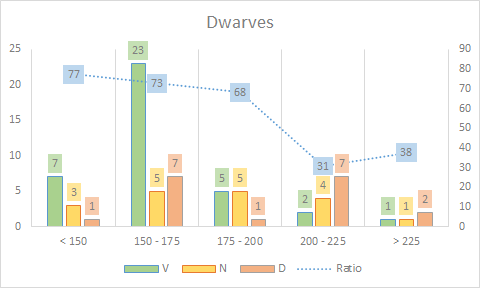 70 dwarves …. !! And if you said “yeah good, in the mass this ratio improves by playing average coaches” … look at his chart. 66 and 69 ratio against opponents of rankings 175 – 225 and it is barely under the 50 against the 225+. In short, if there is one dwarf who will be wary, it’s Roller! The No. 1 High Elf World will celebrate Cardiff’s 10th Eurobowl! This is the first time that he will play High Elves however, having previously played lizardmen (8/4/5), amazons (5/6/1), black elves (9/5/4) and dwarves chaos (2/2/2) last year. He had also suffered the wrath of Olivier du Lac and his skaven, losing the match 2-4. 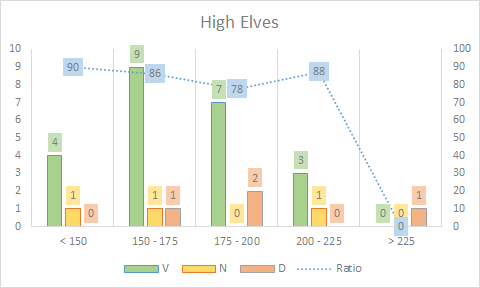 In High Elves, therefore, we can only look at his overall statistics. Arrived at the first place in just 30 games, it has a record monstrous with a roster Tier 2 (even +): 23v / 3n / 4d … for a ratio of 81.67! Again, even against the opponents at the head of well ranked rosters, it has astounding results, with ratios of 78 and 88 beyond 175 NAF! Only his record over 225 is 0, but there is only one match, a match he lost to Yena, his teammate in selection, who then played necromantic. I must admit I can not wait to see how his High Elves behave on a tournament like the Eurobowl, certainly facing opponents of good level as Italy is one of the favorites of the competition. Well … it’s not complicated … you never met an Italian team without Farina … He will celebrate his 13th cap in Cardiff. The tone is set. 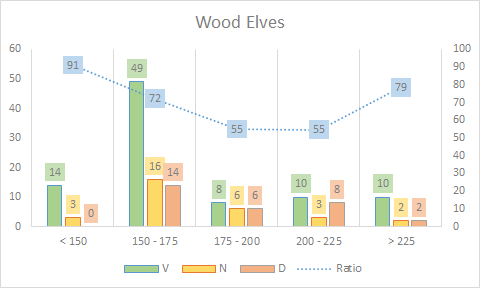 He who had played dwarves (19/11/8) and wood elves (5/0/1), is today a world specialists in skaven. During the 4 Eurobowls played at the head of this roster, he scores 11v / 6n / 8d, a ratio of 56. Last year, he beat Azzroag’s undead 1-0 in this ( sadly for us) famous 5th round. Overall, again, we are dealing with an ultra-experienced coach, who played 231 (yes yes 231) matches in skaven! 11th Eurobowl for Liam … still a player barely experienced in short. If he tried twice to the necromantic (3/6/3) and once to the orcs (3/1/2), it was at the head of the undead that he was the major part Italian adventures in Eurobowl. 19v / 11n / 13d, here is the balance sheet of Liam during these Eurobowls on this roster, a ratio of 56.97. Last year, he beat Chavrouze and his dwarves on Sunday, 2-1. In total, 388 games (yes I know, the figures of the Italian players are starting to get dizzy), for 194v / 103n / 91d (63,27 ratio). 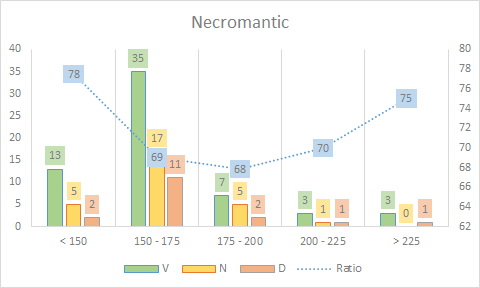 A little less imperial, however, than his teammates above if we refer to his chart, against the opponents of a high ranking, these are still impressive ratios. Like his teammates, what more to say that he will bring his experience to his entire group and that it will rely on him to bring back the points that will probably allow the Italian to play the very top of the table. Ah it’s been a long time … Yena will play his 8th Eurobowl! Ah yes … 70 … the account is there. He who had made his weapons skaven (10/3/5), before taking the head of the lizardmen, with a passage on the necromantic last year (2/2/2). He had also drawn 1-1 against Silkoun and his humans. 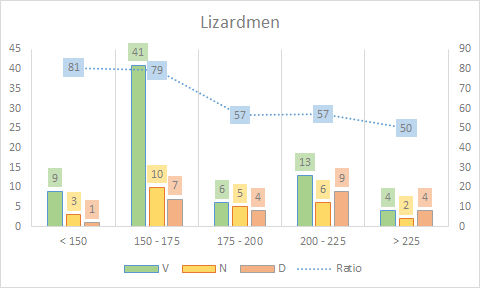 In men-lizards, he is on 9v / 4n / 6d (ratio 57.89) during the European tournaments, while overall, out of 124 games played, he gets a record of 73v / 26n / 25d (69.35 ratio). ), very consistent according to his chart, against the big players, with ratios of 50 to 57. A very solid player, at the head of one of the best rosters of the meta, who will be keen to bring back the points necessary to conquer a fourth title. For those who do not know it yet, England is the biggest league of the European Blood Bowl, with 6 titles won in 11 participations. To this we add 2 other podiums … There is finally only 3 times that the English did not reach the Top 3 … and especially, the last edition they did not win goes back to 2012! If they won the Eurobowl this year, they would be the first nation to win all the editions between two World Cups … and they would chain a 5th victory of rank in passing, of course. 237 of Average NAF! Lycos has not taken any coach within 200 ranking (and even less than 210 if we want to push the envelope) to get this win and still score a little more dominance ITS team on the Blood European Bowl. Even if it does not display a number of selections as stratospheric as the Italian team, the English team accumulates all the same 48! It’s not complicated: Lycos, the “President” has been from the English adventure since the very beginning. He will celebrate his 12th participation in this competition, the 3rd time in necromantic. Before that, we met him in Nordiques (11/5/5), Chaos Dwarves (7/4/8), Undead (3/1/2) and Orcs (2/4/0). ). 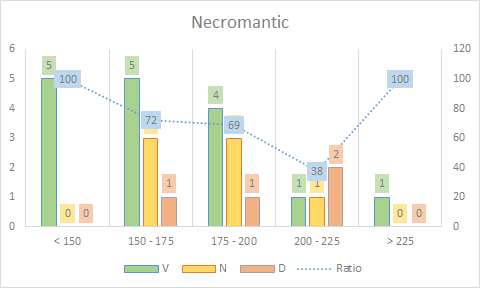 This specialist of the physical and heavy teams remains on 2 rankings in necromantic, for a balance of 6v / 3n / 3d (62.50 ratio). Last year, he finished on a 1-1 draw against Silkoun on Sunday morning. Overall, his statistics are just monstrous on this roster, which is nevertheless considered a Tier 2. 61v / 28n / 17d, for a balance of 70.75. If he points “only” to the ninth place in the world roster, his chart is at least as impressive as these figures: the hollow of his chart, against opponents 175 – 200 is 68 ratio! And it shows 70 and 75 on the top slices! Lycos loves stakes games, he will probably be served this weekend and his opponents are warned … He intends to take England to a 7th title! The only coach to have passed the 300 NAF … many times. I feel like I’m talking about Chuck Norris … Jimjimany, world first all rosters confused, will play his 8th Eurobowl tomorrow, the 7th in wood elves. 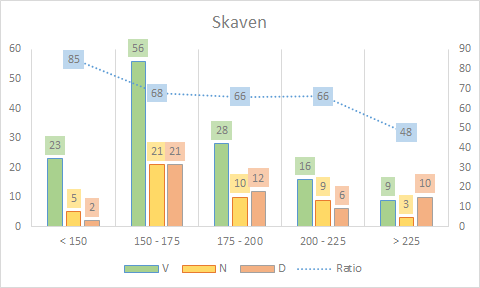 He played Skavens in 2010 for a score of 3/0/3, but before that, and since then, he has never replayed anything other than his own. 21v / 12n / 4d … 4 defeats … in 6 Eurobowls … playing almost every year the first tables … a ratio of 72.97! Here, and history to make us a little worse … we add the fact that it has, to date, never been beaten in Eurobowl by a French … It sets the tone. Last year again, he beat Zahiko’s 2-1 black elves. His overall statistics are not horrible either, we will not lie to each other. 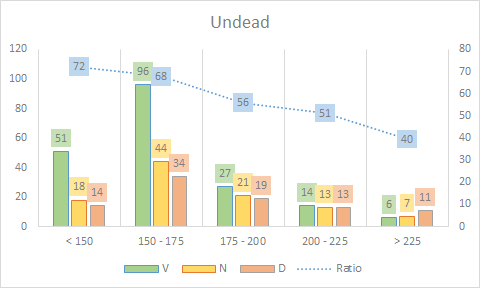 183 games for 121v / 37n / 25d (ratio 76.23). His chart is of course in the same line since regardless of the ranks of his opponents rankings, it is, at worst, 64 ratio, losing only 1 game out of 6 against opponents over 225. What to say otherwise it will obviously be a craftsman of the success of his team, at the head of a roster that must bring points. Everyone is warned! 7th Eurobowl for Purplegoo, who has been trying, since his debut in 2010, to the wood elves (3/2/1), to the lizardmen (6/5/2), to the black elves (4/1/1 ), then to humans, that he will play in Cardiff for the 3rd time. To date, on this roster, he is simply undefeated (5v / 7n / 0d) in Eurobowl and has a ratio of 70.83. 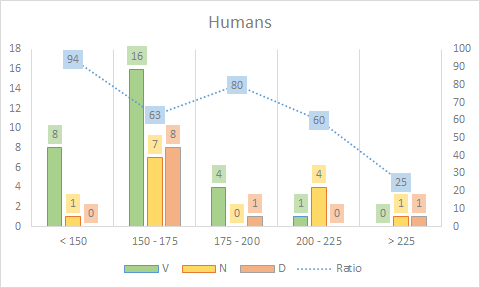 Overall, in humans (must we remember that this is a roster considered “Tier 2”? ), It is currently 42v / 17n / 9d, for a monstrous ratio of 74.26! And even if it comes down to 50 ratio (bouh!) On the slice 225+, its figures are just mind-blowing … 85 and 77 on slices 175 – 225 … in humans, it’s simply monstrous. The roster has some complicated matchups, but the coach behind is the world’s # 1 human … so to say that it will not be a fun party for his opponents! 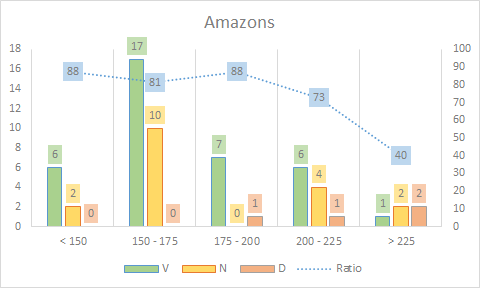 Geggster, N ° NAF 70 … 3rd world in amazons, was, alongside Lycos, of each Eurobowl played by the English. He will also celebrate his 12th cap in Cardiff. Aside from the Amazons, he previously played skavens (3/0/1), undead (4/1/1), dwarves (7/12/5), wood elves (3/1/2) and orcas (1 / 4/2). On the Amazons in 2013, 2014 and 2017 (he beat Azzroag 1-0), he posted a record of 11v / 5n / 2d, a ratio of 75 (!). Here again, one can correlate his ratio with the fact that he has mainly played the high tables of Eurobowls in which he participated. No, I did not say it reassured. 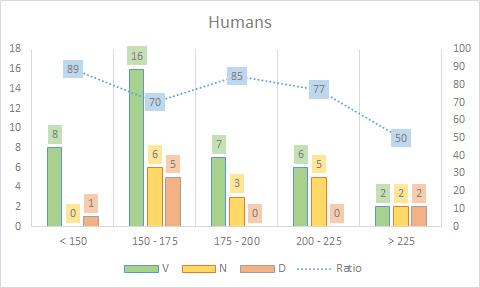 Overall, it’s 37v / 18n / 4d, for a ratio of 77.97! And if we leave aside this 40 on the slice 225+, which allows us to say that the guy is human, we find 88 to 175-200 and 73 to 200 – 225. In short, we will have to dream for move Geggster … and if you want to see what happens in live, do not hesitate to connect TackleZone Twitch Sunday morning, since its round 4 will be broadcast live. 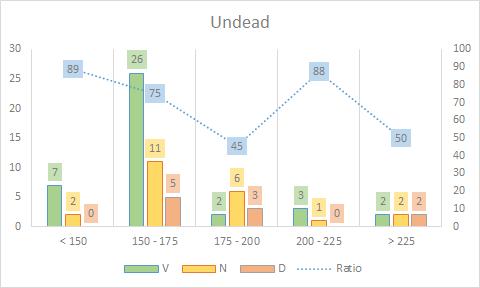 7th Eurobowl for Joemanji, who has simply always participated in leading his undead. Currently 6th world on this roster, it has the particularity, hope it lasts, never to have beaten French in Eurobowl, and this in 5 confrontations (0/1/4). Last year again, he lost 1-2 to Clement0’s Wood Elves in a streamed match. And yet, Joemanji is anything but an opponent that we want to meet. 19v / 12n / 6d and a ratio of 67.56, losing an average match by Eurobowl (if it could fall on the match against the French if we are to cross them, we will not say no ^ ^) Overall, his ratios are also impressive. It does not drop below 62, against opponents 220 – 225, and it has a cumulative 164v / 69n / 40d, which gives a ratio of 72.71 out of 273 games. 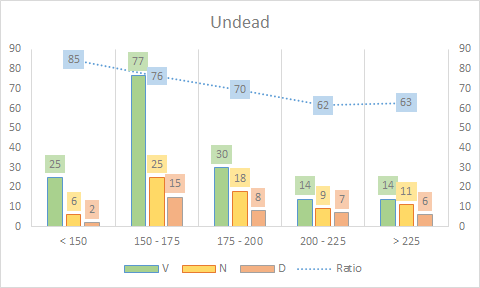 Nobody wants to rub Joemanji’s Undead. The rookie of the group! No Eurobowl so far for the English Dark Elf player so who does not join this team by luck. 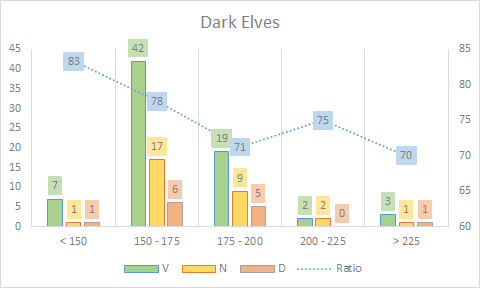 PeteW in Dark Elves to date is 48v / 16n / 14d, for a very very big ratio of 71,79. Like most of his teammates, his ratios displayed on the chart are mind-blowing, revolving around the 70 against the opponents up to 225 naf, and still at the balance beyond. His opponents will eventually be reassured by realizing that he has not played in the NAF Championship since the month of May, and his 3/0/3, which caused him to lose 26 points, relegating him from 6th place worldwide to 21st today. But I do not know why … I can not believe he will not be ready this weekend! Pipey will play his 7th Eurobowl, having previously played orcas (2/2/2), amazons (2/2/2) and 4 times lizards already. 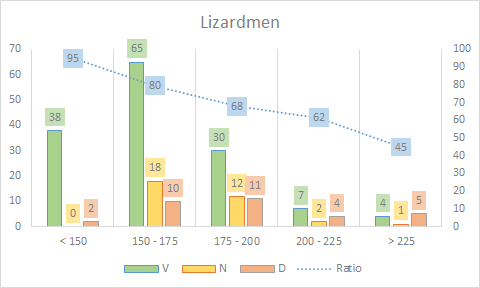 If his results on the other rosters are in equilibrium, in Lizardmen it is another matter: 12v / 6n / 4d, a ratio of 68.18. An extremely solid player therefore, absent from the English selection since 2014. If we focus on its overall results on this roster, it is 209 games played, for a record of 144v / 33n / 32d (ratio of 76.79). Suffice to say that this arch-specialist man-lizard roster will be keen to mark the spirits for his return to selection! Second selection for the rookie of 2017, and who was renewed on his dwarf roster this year. Clearly craftsman of the victory of the English last year, on a roster complicated to push to its maximum (and I’m not talking about their speed! 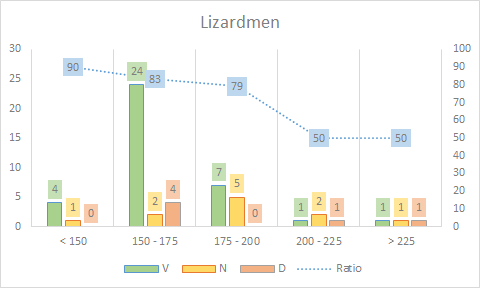 ), he escaped by making a very beautiful sheet of 3v / 1n / 2d (58.33 ratio), losing in particular to Sebotouno’s Lizardmen in the 4th round. Overall, it currently displays 38v / 18n / 18d, for a ratio of 63.51. 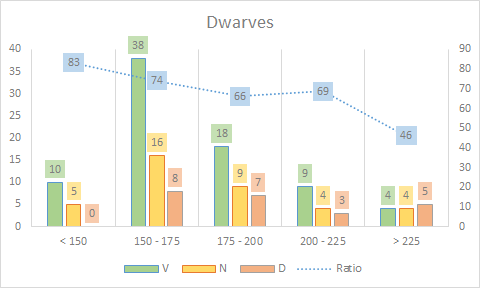 His graphic denotes a bit of his teammates (but remember that he plays dwarves), with a very good ratio on the slice 175 – 200, but results he will undoubtedly be keen to improve this weekend, as soon as his opponents are at the head of teams with rankings greater than 200. We’ll see in a few dozen hours now if Nippy will confirm for his second selection. Thank you to everyone who has read, and I hope to appreciate, this series of articles. 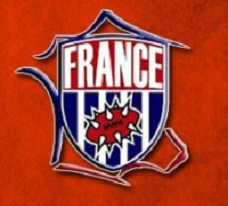 Stay connected to the Twitter of the Team of France , for a follow-up in the heart of the tournament (thank you Laura), and on Facebook , for the results between the rounds! And many thanks to Galanthil for such an extraordinary effort to create this article series with so much time spent collecting the statistics, and also for allowing us to translate it and host here on The Tackle Zone!